Industrial and aerospace manufacturer and service provider Barnes Group has acquired Swiss supplier of in-mould sensors and process controls Priamus System Technologies. Terms were not disclosed. Listed on the New York Stock Exchange, Barnes Group also has other hot runner businesses like Synventive Molding Solutions (bought in 2012), Männer (bought in 2013), and it recently acquired Thermoplay. The companies have manufacturing facilities in North America, Europe and Asia as well as sales offices and agents in many countries. Priamus supplies solutions that monitor mould parameters in real time, such as mould-cavity pressure and temperature, and feeds the data to the machine control. It also manufactures hot runner controls. 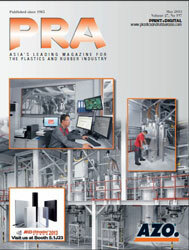 “The combination of Priamus Fillcontrol systems with Barnes Group’s hot runner and mould expertise including Synventive’s activeGate products enhances our ability to serve our customers and opens new opportunities for enhanced process control for critical moulding applications,” said Christopherus Bader, Managing Director of Priamus. 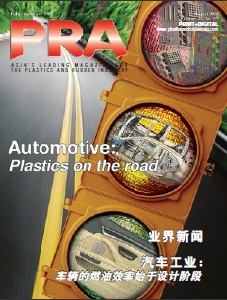 Priamus services plastic injection moulders in the medical, automotive, consumer goods, electronics, and packaging markets. It has approximately 40 employees and is headquartered in Schaffhausen, Switzerland with direct sales and service offices in the US and Germany, and distributors across the globe. Founded in 1857, Barnes serves a wide range of end markets including applications that provide transportation, manufacturing, healthcare products, and technology to the world. It has approximately 4,700 emoloyees, at more than 60 locations worldwide.